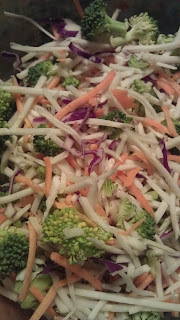 ProteinGirl: New Mann's Rainbow Salad! 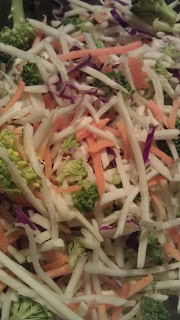 I've had a love affair with Mann's Rainbow Salad for as long as I can remember. I love cauliflower, and found that the addition far exceeded Mann's Broccolislaw in every way. 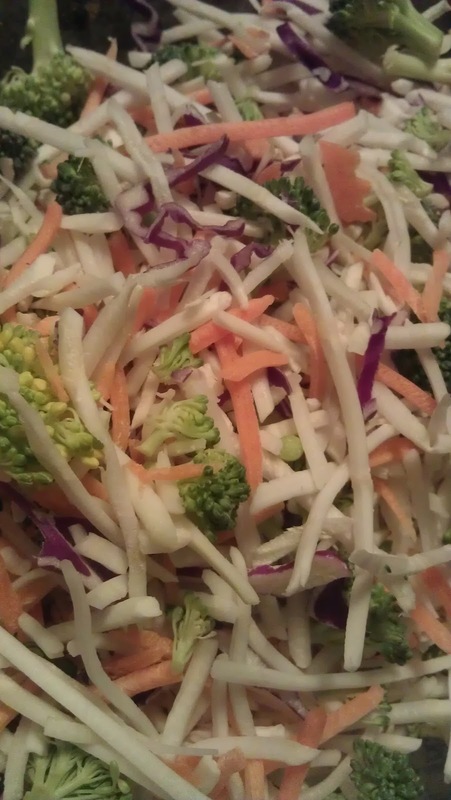 Well, the people at Mann's has recently improved their Rainbow Salad, adding more prominently shredded cauliflower, broccoli florets, much finer shreds of carrot, and red cabbage. The result is fantastic. 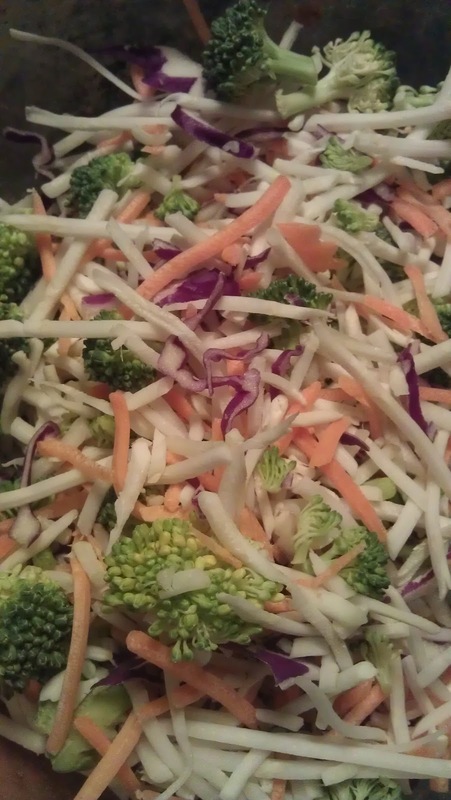 The Rainbow Salad is much easier to chew than the tougher shreds of the Broccolislaw, and it is absolutely fantastic when microwaved for about 8 minutes. All the vegetables get very soft and tender when microwaved, and it only has 100 calories per bag; it is so easy to incorporate into your diet. From stir fry's, to soup and even as a filler in meatloaf/burgers/ casseroles, and veggie patties, this product is fantastic in everyway! It picks up flavoring really well (great with Bragg's Liquid Amino's or sugar free pasta/ BBQ sauce-- like Walden Farms BBQ sauces or their new pasta sauces). I recommend picking some up. It is a wonderful, versatile, nutritious, convenient, and tasty product! Gluten Free and Naturally Sweet: CHESTNUT FLOUR! !